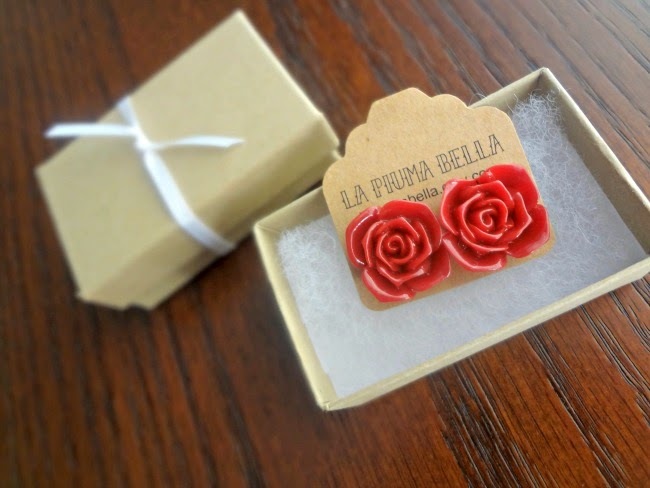 Once the order had been placed and processed, the earrings arrived before I knew it! 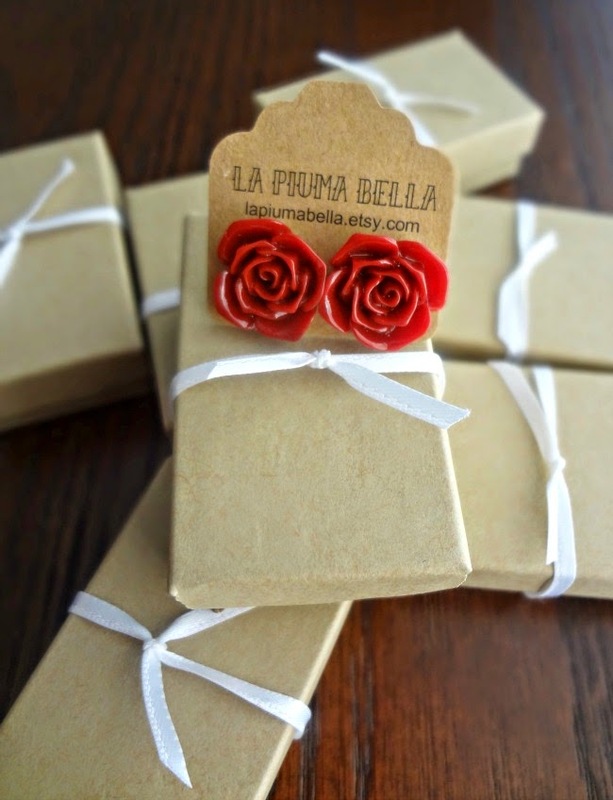 La Piuma Bella sends your jewelry in these darling little boxes-perfect for gifts. 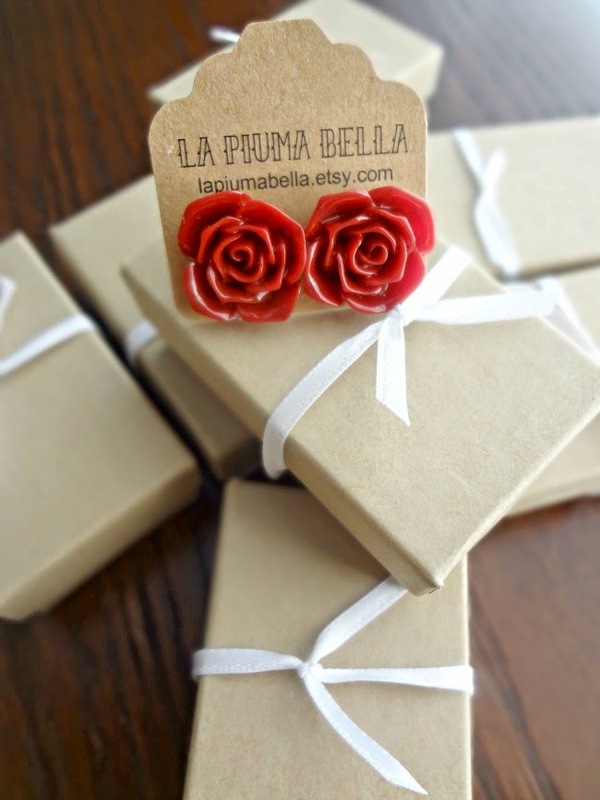 No additional wrapping needed! And I was so thrilled to see that yes the clip-on earrings did look just like all the rest (another good thing about the gift boxes they arrive in--they are easy to take out and then put back in without anyone being able to tell you've already opened the gift :P You just shimmy the box out of the ribbon and then slide it back in when you're done.) 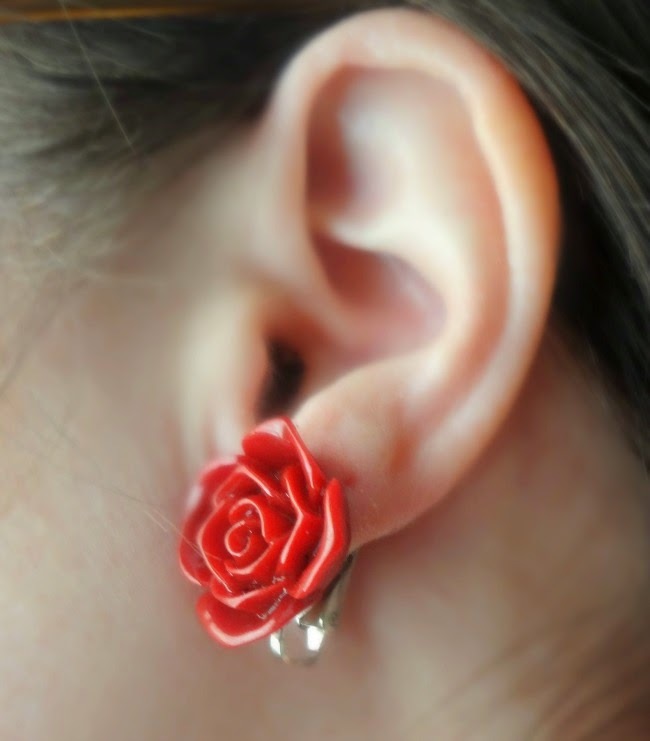 I also tried on the clip-on earrings...to make sure Shannan would be comfortable. They felt great! 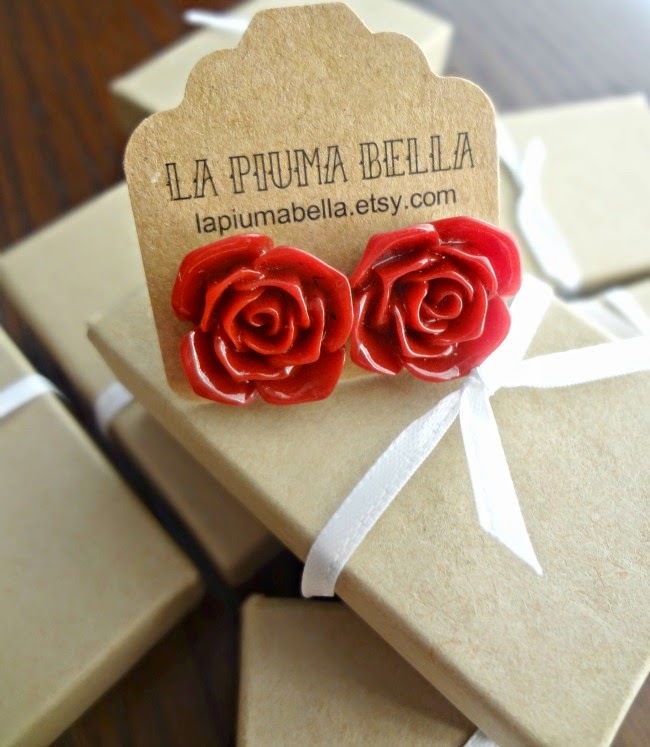 I seriously cannot recommend La Piuma Bella more highly-Gabriella was a pleasure to work with and she provided me with the perfect gift for my girls and the perfect accessory for my bridesmaids! They are exactly what I wanted and I can never thank her enough! 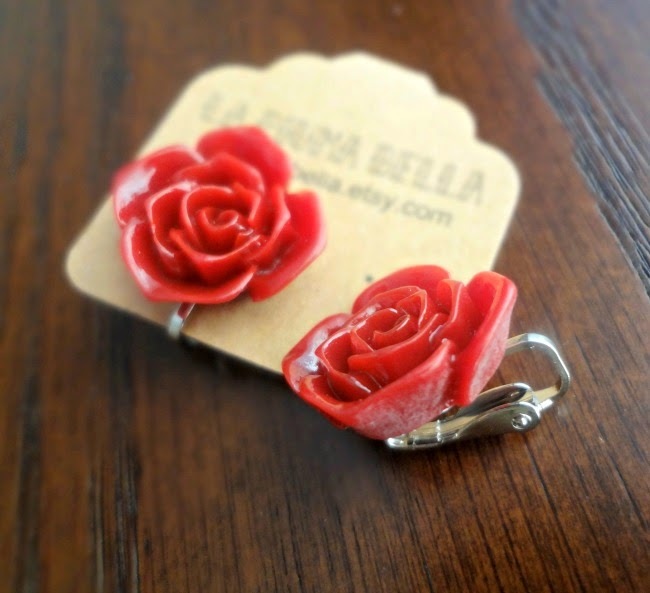 Etsy Shop, Facebook, Twitter, and Pinterest!! Disclaimer-I was provided with a discount on my custom order. I was under no obligation to write a review and received no further incentive to do so. All opinions are, as always, my own.